Weingarten, Germany, September 2017 – At this year’s Powtech 2017 (September 26-28, 2017, Nuremberg, Germany), Coperion will be presenting its newly developed mechanical bulk material mixer MIX-A-LOT at booth 4-290 in hall 4. As an optional addition to the compounding plants made by this manufacturer, the unit ensures particularly efficient, high-speed and gentle homogenization of the fed material. The readily accessible and easy to clean MIX-A-LOT is available in three sizes for throughput rates up to 5 t/h, there is also an ATEX version. The surface of the mixing chamber can be electro polished. The combination of an outstanding mixing effect and extremely short mixing time is due to the optimized design of the mixing rotor. Its low circumferential velocities and the optimum design of the gap to the housing, permit gentle handling without particle destruction or heating of the product. The large inspection door on the front of the MIX-A-LOT provides easy access to the entire process chamber. An additional opening at the discharge flap also facilitates inspection and cleaning of this section. 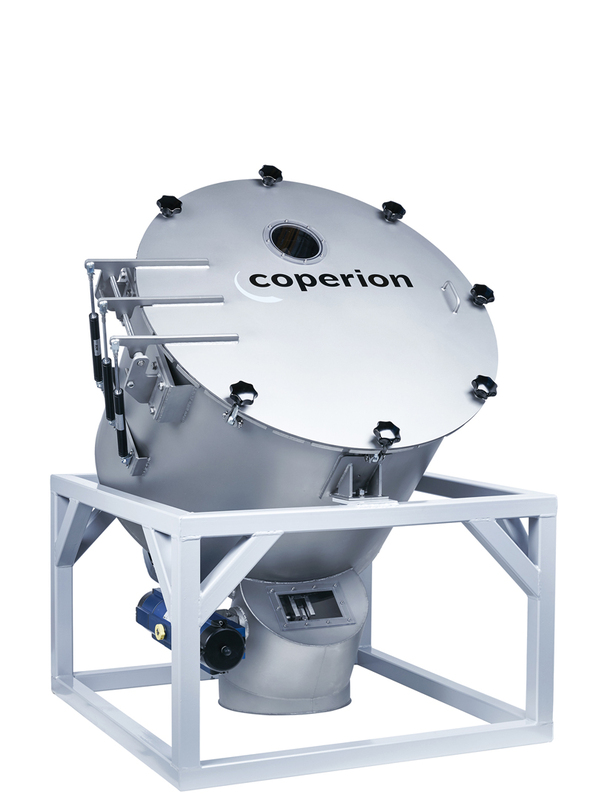 The new bulk material mixer MIX-A-LOT from Coperion ensures cost-efficient, high-speed and also gentle mixing of the individual components for extrusion. Up to now it has generally been standard practice to feed each individual component to the extruder through a separate differential loss-in-weight feeder with a buffer hopper. However, using this technique, the new MIX-A-LOT first produces the specific pellet mixture, for which one single loss-in-weight feeder is then sufficient. The weighing function of the mixer ensures accurate recording of the weight of each component fed in, to guarantee correct dosing according to the recipe. 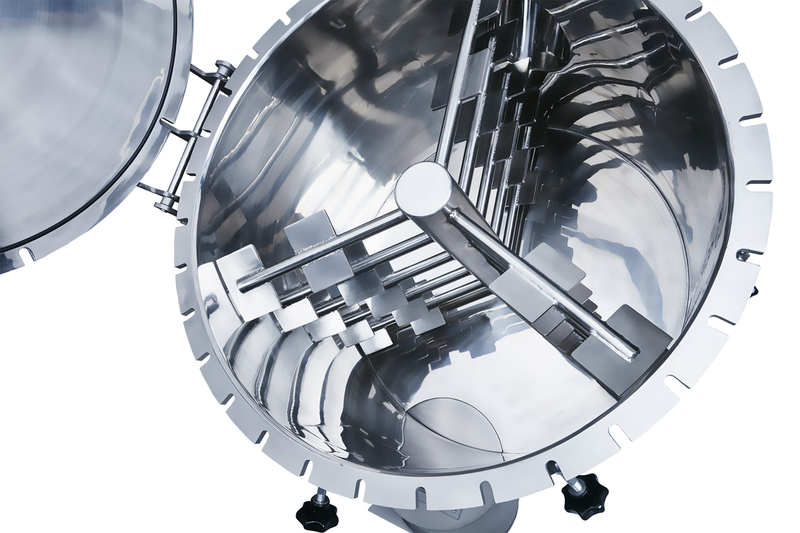 As the MIX-A-LOT is of vacuum and pressure-resistant design, direct pneumatic feeding is possible without the need for a separate reception bin for pneumatic conveying. This simplified plant concept allows the reduction of investment and maintenance costs compared to conventional systems. The cleaning effort during changes of product has been greatly reduced, and much less space is required above the extruder. Coperion is the global market and technology leader for compounding systems, feed systems, bulk goods systems and services. Coperion develops, produces and services plants, machines, and components for the plastics, chemical, pharmaceutical, food and minerals industries. Coperion employs 2,500 people worldwide in its four divisions Compounding & Extrusion, Equipment & Systems, Materials Handling and Service, as well as in 30 sales and service companies.